Get drunk, fight sharks, fight other pirates, die, get drunk, and generally cause a ruckus. 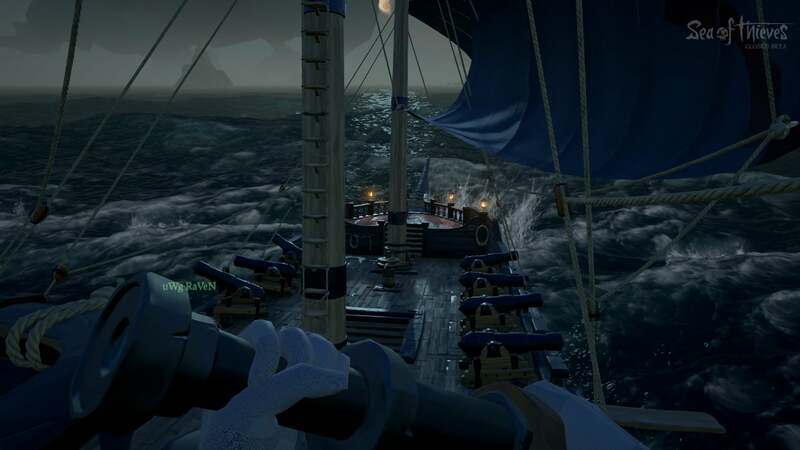 Watch the crew of HMS PCWorld sail the seven seas and battle bugs in Rare's enthralling Sea of Thieves beta. Rip-roaring pirate simulator Sea of Thieves is maybe my most anticipated game of 2018, but I’ll admit it’s something of a mystery still. We’re barely two months from release and yet it was only a few weeks ago Rare even showed off the questing system. That constant refrain of “But what do you do?” has hung over the game since its first showing back at E3 2016. So I was excited to get my hands on this week’s closed beta. This is the first time I’ve gotten to play the game proper, with a cut-down version of the questing system inside it, plus costumes to buy, gear to acquire, and so on. An actual game and not just a fun tech demo, in other words. 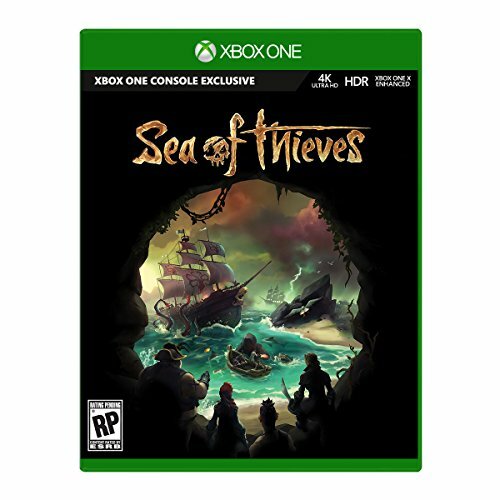 And it’s the first time my colleagues Dan Masaoka, Adam Patrick Murray, and Brad Chacos have ever touched Sea of Thieves ($60 on Amazon). 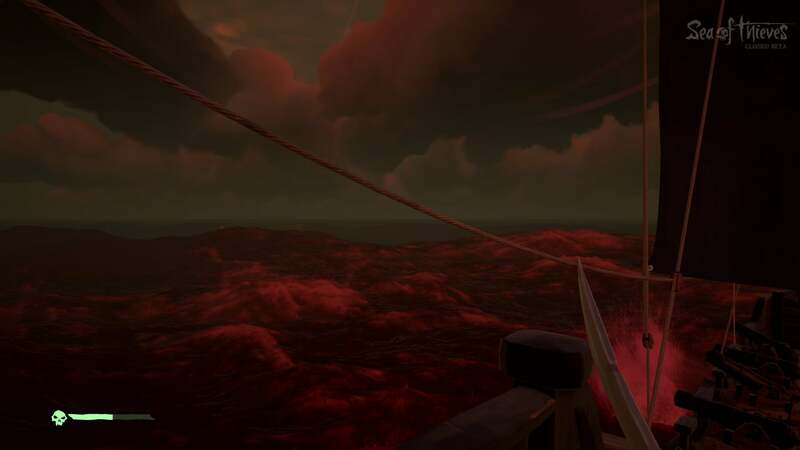 The four of us crewed up together and, no surprise, it was a disaster—but exactly the type of thrilling, anecdote-filled disaster that endeared me to Sea of Thieves in the first place. I still don’t know whether there’s a long-term hook to keep people playing, but I will say this: We had a hell of a lot of fun. 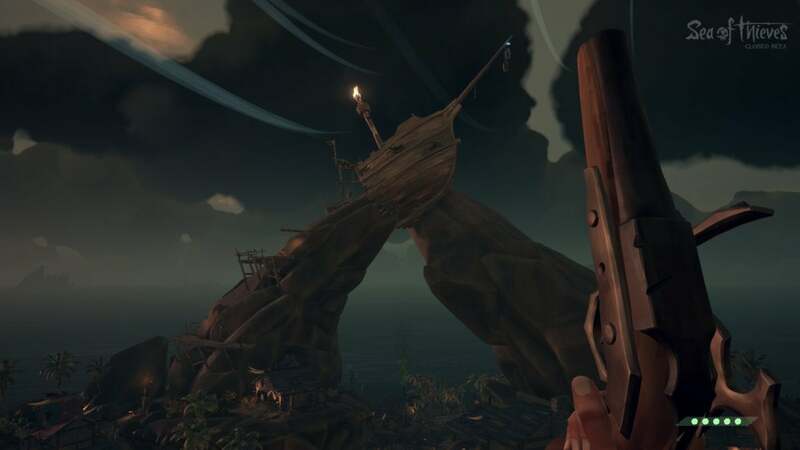 Anyway, the core of Sea of Thieves is much the same as it was back in 2016. This is Rare’s take on a pirate game, and the idea is that every person is just that—one person. This isn’t like Assassin’s Creed’s sailing sections, where you magically control an entire ship by yourself, simultaneously. Here, everything is done manually. The beta gives you a choice between four-person, two-person, and solo ships. There’s also matchmaking, so a solo person can still join up to a crew of four, and the beta crowd at least has been surprisingly polite and friendly with microphones so far. Which is as good a time as any to say: All of this is subject to change, of course. It’s a beta, and I’ve no idea whether there are more ship variations waiting in the wings, or whether everyone will turn into a jerk when the full game releases. Actually, we can probably count on the latter. Want to shoot a cannon? You’ll probably want to head below-deck, grab some cannonballs, and load the cannon first. Ship sinking? Better patch the holes in your hull. Sea of Thieves is ever-so-slightly more realistic than Surgeon Simulator, but it comes from the same place: The idea that removing the abstractions video games typically rely on can inherently lead to chaos. Finding fun in the mundane. That foundation was in place in 2016, and it made for an excellent demo—sailing around, drinking grog, trying to fire cannons at rival ships, drinking more grog, and so on. The beta builds a framework around those ideas. You can now take on contracts for various trading companies. In the beta, it’s the Gold Hoarders—treasure hunters who bid you sail to a remote island, find the chests buried there, and then return. Some of these contracts are shorter, some longer, the rewards varied, but this is the main loop in the beta. And when I say “shorter,” I should specify that the entry-level mission took 45 minutes in one of my sessions. People were learning the ropes as we went, sure, but Sea of Thieves still seems slow and relaxed. Completion earns you gold, which then lets you buy better-looking versions of your items, like a golden shovel instead of a boring old steel one. So far, everything I’ve seen is purely cosmetic. Again, no idea whether that’s the situation in the full game or whether it’s just for the beta. We’ll see. In any case, it’s enough direction to get you and your crew all moving towards a common purpose, which is probably necessary in Sea of Thieves. The Gold Hoarders are just one faction too, with others based around trade and monster-slaying already announced. The beta isn’t enough to make any claims about longevity, but at least it finally answers the “What do you do?” question. I’m coming away from the beta hoping Sea of Thieves can sustain my interest though, because mostly it’s reminded me how damn fun this game can be. We had a wild time trying to fend off a two-person ship that masterfully out-sailed us, punching holes in our ship before eventually ramming us and sending us to the bottom of the ocean. At another point, we learned the hard way that thunderstorms can a) hit you and your ship with lightning and b) fill your poor ship with rain until it sinks. And if you sail to the end of the world? All the water turns to blood, and your ship slowly self-destructs and eventually sinks. Pretty good, as far as invisible walls go. Also, when you die you’re sent to a spooky ghost ship, and it’s amazing. I’ve even had a good time jumping in solo. That’s always a dice roll, but I managed to land with a talkative four-person crew earlier where our friendly captain called out commands to the rest of us. I learned more about smoothly sailing three-mast ships in that 30 minutes than in my entire life up to that point. Point being: It’s a unique and charming experience. The beta doesn’t answer many questions, but it at least gives us a peek of what’s to come, and what’s to come seems promising. I know our party-of-four had a good time even when plans went horribly awry. 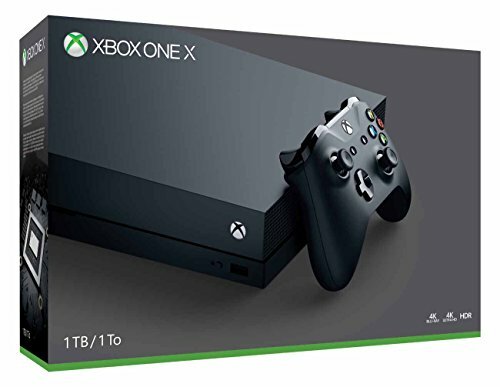 Now it’s down to how much Sea of Thieves ($60 on Amazon) can change it up over time. Other four-person games with an emphasis on emergent chaos have faltered by becoming too repetitive, too early—see Ghost Recon: Wildlands, and even Destiny 2 to an extent. 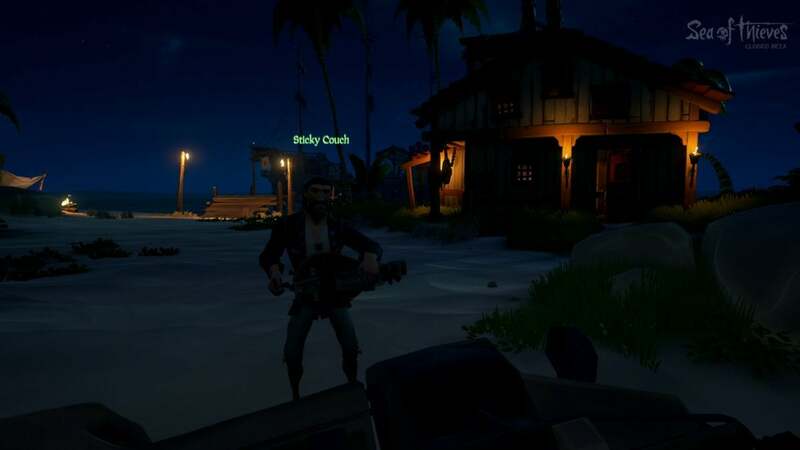 Let’s hope Sea of Thieves can avoid that pitfall, because I want many more days of grog-swilling and accordion playing in my future.